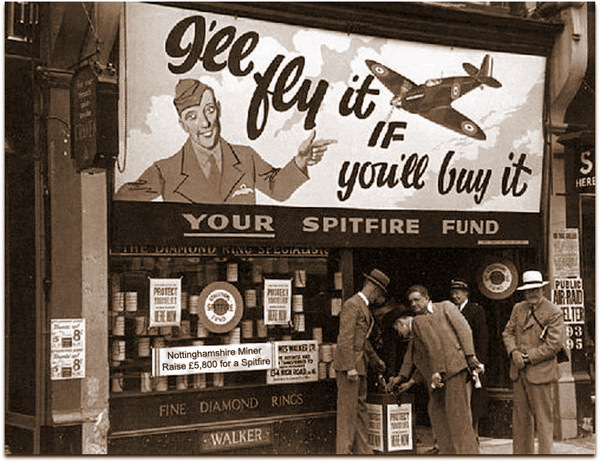 A Spitfire Fund, under the Wings for Victory campaign for the War effort raised about £5,800 for a Spitfire aeroplane named the ‘Nottinghamshire Miner’. The money was collected from all collieries and the generosity of the miners who would have been on about £3 10s ( £3.50) to £5 a week is shown by the magnificent response to the appeal. There was a picture of a Spitfire above the serving counter in Ollerton canteen noting the amount of money collected at the pit. By September 1941 miners were getting cost of living War additions of 2s 8d (13⅓p) a shift, to which now there was added, unconditionally, the 1s (5p) bonus from 1st June for adults and 6d (2½p) a week for boys. The Government regulated the pits and coal prices. 8oz more cheese rations were to be made available to Land Girls and Railway Train Crews from 1st September 1941 bringing them in line with miners and agricultural workers. Output per manshift in Nottinghamshire stood at 84 cwts against a national average of 59 cwts. The first Manager was Mr Fenn from Nottingham. The second Manager was Dan Rogerson from Rotherham. He and a few others were sent to South Normanton colliery to assist with improving coal production during the War. The Undermanager and Deputy was Arnold Heappey. The men were transported to and from work by lorry. 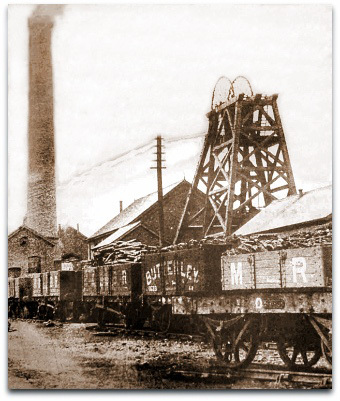 During the day coal was delivered to households, farms and the small slack to a Steel works in Sheffield and also a power station. 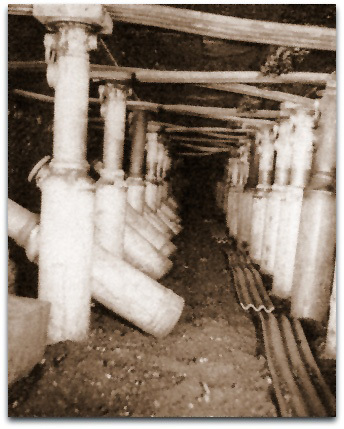 Unfortunately in the early days ventilation was a problem and to create a good airflow through the mine a centrifugal fan was installed. Naked light acetylene lamps were used for illumination. As late as this, George Spencer MP was arguing against a National Wages Board, opposing the attempt to impose a levy to finance guaranteed wage payments to miners on short time working. His argument was that the average output per man in Nottinghamshire was 84 cwt against a national average of 59 cwt and this was not due to the chance of geology, but to harder work by the Nottinghamshire miners. He utterly opposed the principle of ‘asking the workmen of one district to help pay the profits of another district’. Leicestershire 17s 9d (88¾p). Overall average gave wages of £4 11s 1d ( £4.55½) per week or 17s (85p) a shift. Leicestershire had 12 pits using 113 machines and an output of 3.62m tons. Sir Stafford Cripps decreed that soap rationing to begin on 9th February 1942. Personal tax allowances eliminated. No fuel for pleasure motoring and a cut in clothes ration. Sporting events were curtailed. Cigarettes went up to 2s 4d (11½p) a packet of 20 and women’s silk stockings were unobtainable (except from Yanks and spivs on the black market). Fuel rationing that began on 4th July 1941 was scrapped from 13th May 1942. The Coal Supply Order 1942, giving powers to sell coal in containers. The Government again took over the running of the pits in wartime as it had done in the First World War, but not the ownership and this time only monitored the production, allowing the local districts to dictate. 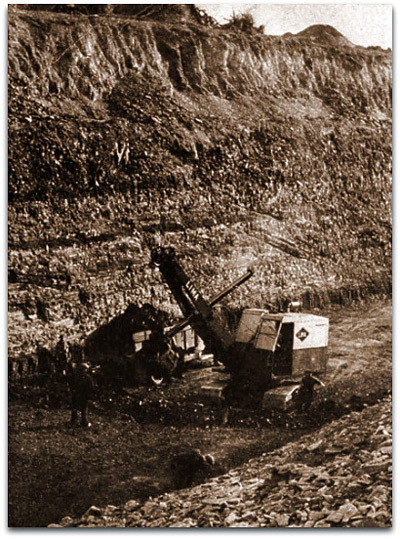 A new drift mine was opened by 3 men at Harper Hill off Wild Hill, near Huthwaite (Nottinghamshire), to work the Dunsil seam about 3’ 6” (1.07m). (later owned by Horace Taylor, of Whatstandwell). The first sod was cut on 3rd May 1942 following opencast mining which had begun to the West of Tibshelf around this time for the War effort. The limit of overburden for Open casting work then was about 10 yards (9m). George Wilson a good miner from Sutton drove Wilson’s Slit, the first roadway for an air road at right angles and the main heads to the dip at about 1in5 in the 3ft 6in (1.07m) thick Dunsil seam with 6 ft x 6 ft (1.8m x 1.8m) arches and stalls were opened up either side in the following year. 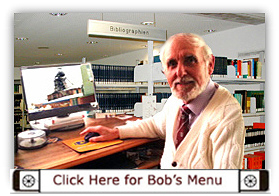 He also ran a coal business. From 1st July the Coal Act of 1942 amended Section 5 of the Coal Act of 1938, which vested in the Coal Commission all property and rights in coal. The royalty owners in the country received a sum of £66m. All the main areas relating to the control of coal, peat, lignite and shale were transferred from the Mines Department, the Board of Trade and the Home Office to the new Ministry of Fuel and Power. The new Minister was Major Gwilym Lloyd George, 3rd June 1942-1945 (Coalition Government). The Mines Inspectorate now came under the Ministry of Fuel and Power (later the Ministry of Power) 1942-1969. Surface workers a weekly wage of £3 18s 0d ( £3.90). This was known as the (Lord) Greene Award, which fixed the first national weekly minimum wage. 20½ years 62s ( £3.10) and 55s ( £2.75) per week. 14 to 15 underground were increased by 1s 3d (6¼p) and on the surface by 9d (3¾p). Over 21 years 2s 6d (12½p) underground and 2s 6d (12½p) for surface. Leicestershire 21s 1½d ( £1.06). Also in September a National output bonus scheme was begun. The standard for Nottinghamshire collieries was 337,600 tons per month, which equalled 100%. For each 1% addition to this tonnage a bonus payment of 3d (1¼p) a shift was agreed. Up to 115% and over it was 3s 9d (18¾p) per shift. From 3rd July 1942, the price of coal was increased by 3s (15p) a ton. The first trial in Great Britain of hydraulic props, made by Dobson of Nottingham, was carried out at Ramcroft (Derbyshire) in the Waterloo seam and proved successful. One of the earliest Opencast sites as part of the War effort was at Shipley where the Top Hard, Dunsil and Waterloo seams were very close to the surface at Heanor Gate and Parkfield Farm. Hill Top, Kimberley district, Top Hard, Dec. Opencasting continued at Tibshelf. Opencasting started in Britain as a Wartime measure under the Defence Regulations. Site at Woodthorpe Hall Blackshale. Although opencasting would continue down to a maximum depth of 16½ yards (15m) a Code of Practice would not be issued until 1951. Output for 1942 was 223,000 tons. In later years the opencast workers would be referred to as ‘Sunshine miners’. Leicestershire had 13 pits using 108 machines producing 4.05m tons. Young women were allocated to working on the farms instead of being called up for the army or other branches of the forces. 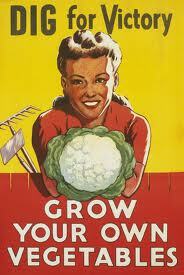 They were called Land Girls.